If you’re a professional, an entrepreneur, or a small business owner – or you’re the purchasing manager for a larger company – with all of the choices in the marketplace, it’s often challenging to know what to look for when purchasing a digital printer. Your purchase decision will, not doubt, depend on a number of key considerations. In order to make an informed purchase, we recommend that you compare the features of the various makes and models of digital copiers. Allow the copier sales professionals at Sunrise Office Systems in Las Vegas to help guide you through the selection process. 1. Print speed: How many printing jobs do you have per day? Are they usually last-minute, rush jobs? How many people will be sharing the printer? 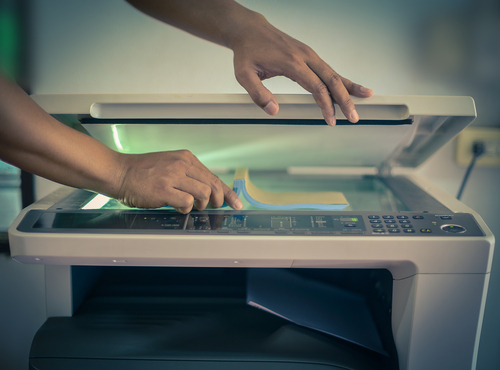 Newer digital copiers are capable of printing anywhere from 22 pages per minute (ppm) to 100 ppm depending on the quality of the model you’re considering. 2. Print volume: How many copies do you and your company generally need per day – a few, or hundreds? Basic models hold 100 sheets in the tray and 250 in the cassette. Large-scale, multifunction machines hold 500 sheets in the tray and more than 2,000 sheets. 3. Added features: Do you need just black & white copies, or do you want full color, too? Which features do you need? Collating? Stapling? Three-hole punching? Print codes for different departments? Document storage and security? Many of the lastest digital copiers have incorporated features designed to help your organization save time and money. Multifunctional machines may include wireless connectivity, interactive touch-screen controls, image editing, large built-in hard drives for document storage, and enhanced security. You can also reduce your operational costs by selecting a digital copier that’s Energy Star rated. 4. Graphic capabilities: Do you print full color brochures and training materials often? Does your company deliver proposals and other materials to consumers and/or other businesses on a regular basis? Are your materials graphic-heavy? Do you need an image editor on the copier? Do you have someone on staff who can take the lead in operating a high-end machine should you decide to purchase one? Copier models with graphic capabilities (known as production printers) will give you the highest resolution possible (2,400 x 2,400 dpi is standard), as well allow you to control all five colors (yellow, magenta, cyan). These models provide exact reproduction of source material and are generally compatible with many software platform. 5. Other Considerations: What type and size of paper is required? How much do the toner cartridges cost? Does your copier need an internal memory drive? Some of the newer, higher-end models offer connectivity via Wi-Fi, enabling the quick printing or distribution of documents from multiple mobile devices. Having a scanning/faxing/emailing feature also simplifies internal and external distribution when you’re networking your work group. Most copier machines connect either through BaseT Ethernet or a high-speed USB 2.0 connection. At Sunrise Office Systems, we’re here to make your business run smoothly and professionally. Call us today!